The 600 year old Chapel of St Nicholas has been used as a Festival venue from the very first King's Lynn Festival in 1951. That first concert on 27 July 1951 featured a performance by singing legends Kathleen Ferrier, Margaret Ritchie and Peter Pears. 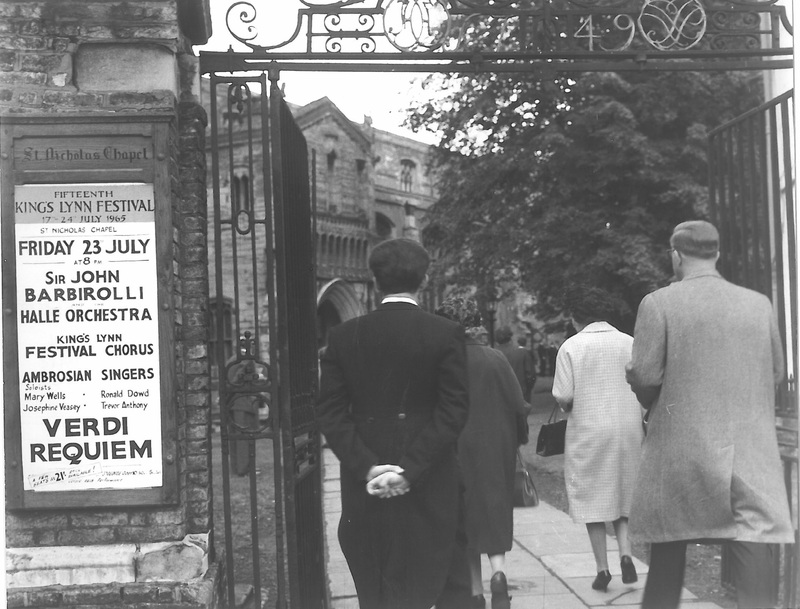 Since then, many famous names have performed in St Nicks as part of the King's Lynn Festival including Yehudi Menuhin (1965), Nigel Kennedy (1975), James Galway (1992), John Williams (1995), Nicola Benedetti (2005), and was host to the two final performances from Sir John Barbirolli, conducting the Halle Orchestra, just days before his death in 1970. To celebrate the re-opening of the Chapel there will be a concert by the world-renowned Fairey Band on Saturday 17 October at 6.15pm. Tickets are available from Trues Yard Museum, just around the corner from the Chapel, or by calling the Festival Office on 01553 767557. For a sneak-preview of the repairs and alterations, the Chapel will be open on 12 & 13 September as part of King's Lynn Heritage Open Day. Amongst the various activites and displays will be a short history of the Festival's events at St Nicks over the last 65 years.